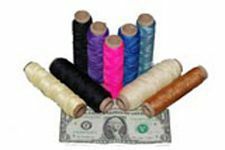 Use of tubes of nylon, polyester, and Kevlar thread for hand sewing and with speedy stitcher awls. 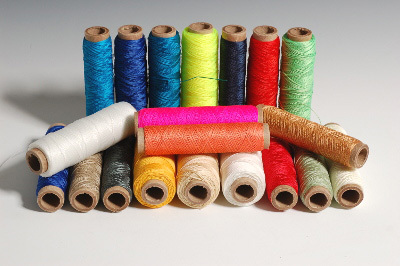 These tubes have about 100 yards of thread and come in many sizes and colors. Nylon and polyester are about $5; Kevar ranges from $9 to $20. 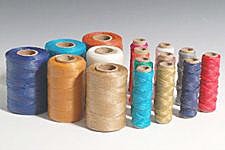 This thread is not recommended for machine sewing. Use our two and four ounce spools instead. Waxing makes thread stiffer, stronger, and more water repellant. We have 70-yard tubes in sizes 207, 415, and 554 in 25 colors and much more. U.S. made artificial sinew in 25 colors. 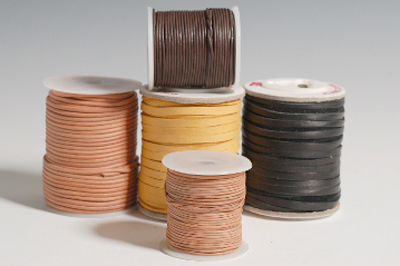 Our sinew is waxed, flat, 1/16th inch wide, and easily split into narrower strips. Comes in 265-yard rolls and 17-yard tubes. 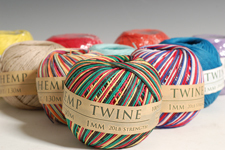 1 mm hemp twine in 24 colors. 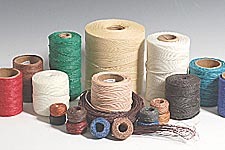 Hemp twine is also known as hemp string, and hemp cord. Hemp is the strongest of all natural fibers, with a 20 Lb. tensile strength. Sold in 143 yard balls. 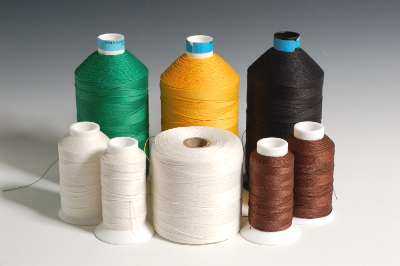 Our regular nylon, polyester, and Kevlar thread on 100-yard tubes designed for hand sewing. Nylon and polyester are $5 each; Kevlar is $8. 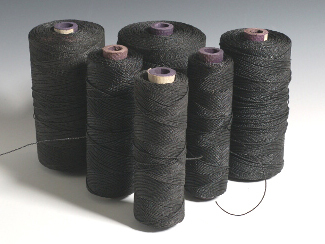 Middleweight Irish polyester-linen thread from Henry Campbell and Sons. Ideal for fine leather and upholstery. Bank line is a black, very strong cord. 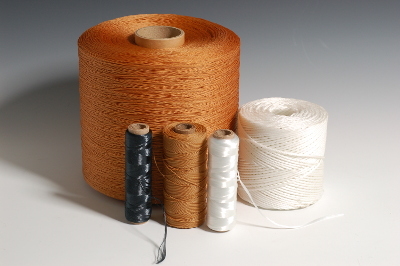 It is used for netting, It is used for netting, knotting, snares, bushcraft, and hand sewing. Great for survival kits. Flat deerskin and round leather lacing at closeout prices. Fantastic deals on binder / baler twine, heavy duty house twine, and "invisible" magicians thread. C.S. 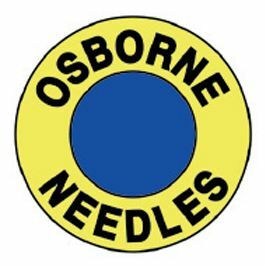 Osborne hand sewing needle kits for leather, canvas, carpet, and fabric. 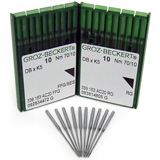 All Groz-Beckert machine needles with cross-reference to other brands. Machine / needle lookup for 10,000 machines.